Bob has loved the idea of ballet for a while. A few months ago we went to a toy shop and out of everything in the shop she chose a ballerina fancy dress costume. Bob had her first ballet class last week. She was so excited and couldn’t wait to go! When we arrived she saw all of the other children in their beautiful outfits and asked if she could have some clothes like that. I told her that if she enjoyed the lesson and wanted to come back the following week we would buy her the uniform. I was wary of buying her the uniform on her first day. I started ballet when I was 4 and my Mum and Dad bought me everything I needed. When my Dad drove me to my second lesson I refused to go in. Bob had a wonderful time! There were a few new starters in the class and their parents were allowed to join in with them until they settled. After a few minutes Bob was having a wonderful time so I quietly snuck away and watched from the side of the room. She did really well in the class and joined in with everything. When one of the other parents managed to leave their child they commented on how well Bob was doing and asked if she had been to ballet before. I was so proud of her! 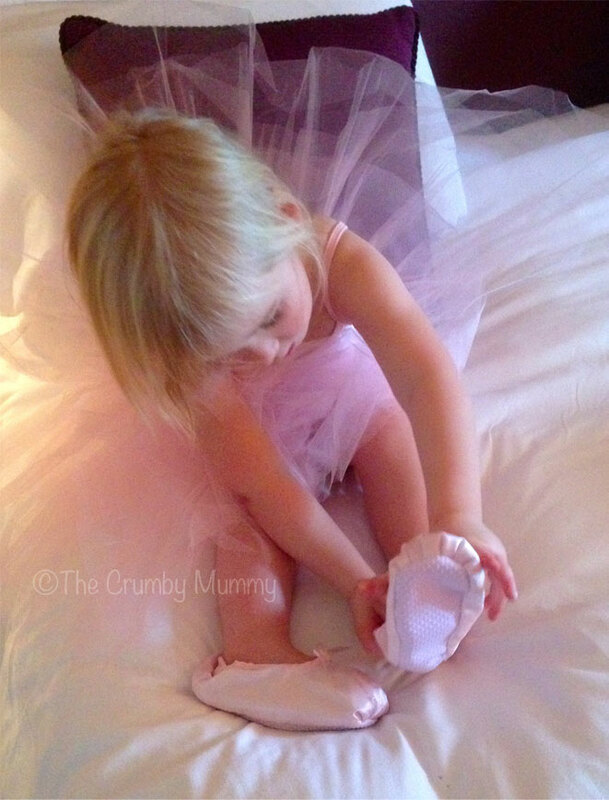 When we got home Bob put on her ballerina costume and showed her Daddy what she had learnt. She can’t wait to go again! We are going to go to the dance school early so that we can buy her uniform. I am worried that there will be tears when I see her wearing it! I have added this linky to Linked at This Day I Love and Your YouTube at Hollybobbs. Love her smile! So glad she is enjoying ballet. 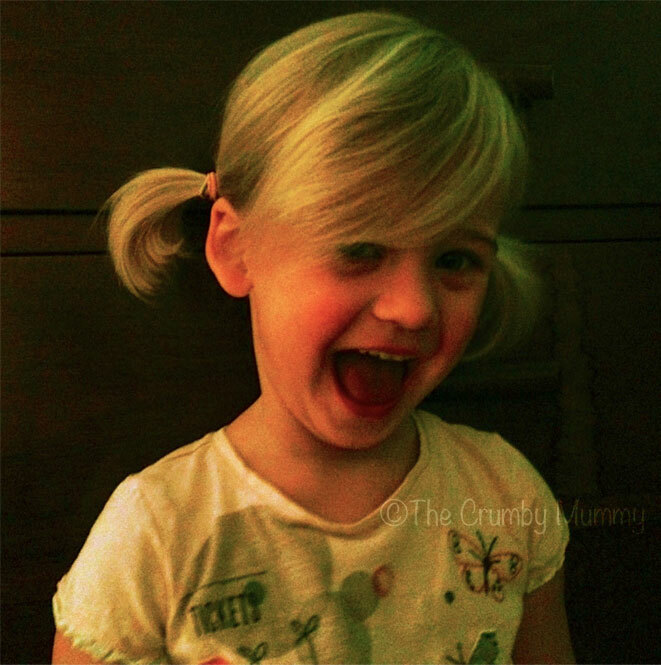 Oh bless her – she put the biggest smile on my face and what concentration – tongue out and everything! !